Marian College provides young women with the opportunity to be educated in an environment that encourages each person to develop as an individual and a community member. We educate 780 girls in a safe and secure environment, with each girl supported through strong pastoral wellbeing structures. We offer educational programs that are relevant, innovative and challenging. The curriculum is constantly renewed so that courses of study reflect the needs of our students. A wide range of options are available in the senior years, including VCE, VET and VCAL programs. We recognise and value the diversity of many cultures and religions within the school, as both a reflection of the wider community and as a means of understanding the broader world. At Marian College, our teachers work to ensure that students and their families experience a deep sense of belonging. Marian College - Pursuing excellence and innovation in a supportive Catholic environment to create positive futures for all students. This year the college opened a new science and VCAL building, providing four large and flexible learning classrooms, three breakout spaces and a science preparation room. We offer state-of-the-art trade training facilities supporting VET studies in hospitality and hairdressing, a language learning centre, resource centre, performing arts centre, visual arts and technology rooms, sports education facilities, auditorium, Ngali Centre (senior years), Sr Agnes Lyng Building (Year 7 and 8 facility) and canteen. At Marian, we are clear about the unique learning needs of girls as this is evident in the way we structure our learning and teaching program, and how we build relationships within our community. Marian College’s practices and policies aim to develop the skills women need for the 21st century. The learning and teaching program at Marian is well-balanced to provide for the needs of all our students. It is a broad and comprehensive program that caters for the possible dreams and pathways of each individual. Our students are encouraged to excel, be active participants in their own learning and develop intellectually, spiritually, physically, psychologically and emotionally. Marian College ensures that the curriculum is reviewed, evaluated and written to promote an exemplary pedagogical framework relevant to the individual level of the students. 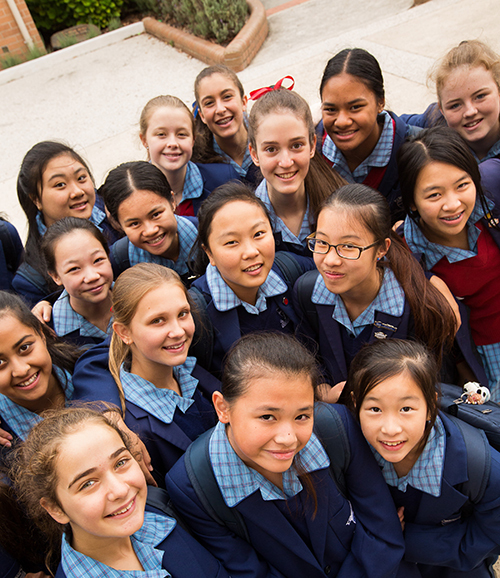 Our Year 7 and 8 programs are designed to engage all students in their learning, to excite them about the possibilities that secondary school presents and to support them as they develop positive relationships in a new environment. The Year 9 program has been specially designed to cater for the need of the increasing independence of young adolescents as they strive to develop an identity for themselves that is separate to that of the key adults in their lives. At Marian College we categorise the phase of education from Years 10 to 12 as ‘Pathways’ where our students are encouraged to further explore options and abilities throughout the senior years that are most suited to their needs. Marian College aims to provide students with far more than a standard academic curriculum. Students can partake in several sporting activities including inter-school sports such as athletics, badminton, netball, soccer, indoor cricket, tennis and basketball. Our performing arts faculty offer instrumental music tuition, the biennial school production, choir, band and student concerts and performances. Students can join various clubs and participate in competitions and challenges held across the year. These include the Justice and Democracy Forum, St Vincent de Paul, Science Club, Book Club, Bike Club and Marian Leos Club.